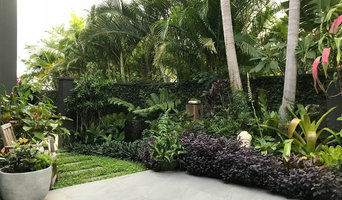 Grotec’s skilled and experienced team of Gold Coast Landscaping Services and Landscape Design professionals have been designing and building beautiful gardens throughout South East Queensland since 1988. Grotec’s landscape design and landscaping teams are led by director Sue Bampton, a creative and experienced landscape designer and Gold Coast landscaping specialist for over 26 years. Sue is a knowledgeable horticulturist & soil specialist and the owner of How to Garden, Australia website. 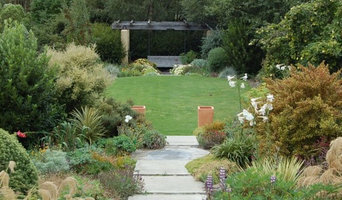 Kenchi employs a skilled, enthusiastic and qualified team of landscapers and horticulturalists. Our goal is to bring a professional approach on design and construction for residential and commercial landscaping. We pride ourselves on being punctual, reliable, courteous and trustworthy for the discerning client. Huber Outdoor design - create liveable outdoor rooms by creative landscape design & plant selection, we believe in low maintenance practical gardens and encourage edible gardens. With over 20-30 years of experience in all aspects of landscaping and outdoor construction, our family based business gives you a friendly personalised service. Also we have intensive knowledge of Fencing, retaining walls and all aspects of structural landscaping and able to help maintain your garden project with our dedicated garden team. 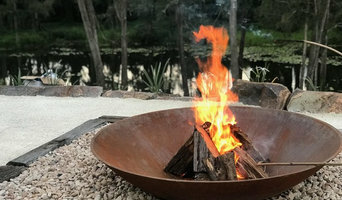 Nest Landscape Design’s passion is in delivering cohesion within the function and aesthetic of private and residential outdoor spaces, the connection of the internal with external, the built form with the natural. 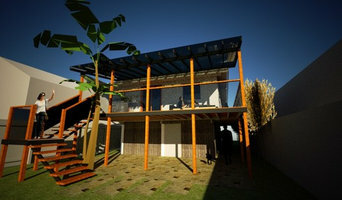 Our designs are all individually tailored to the client, the architecture and the site. Nest provides a full landscape design, construct and maintenance service to ensure the design intent is realised over the long term. The Nest team has a demonstrated history of working in the construction and horticulture industry. Skilled in Construction, Leadership, Design, Project Planning, and Project Management. Welcome to BIZSCAPES Landscape Design and Construction Bizscapes is a small professional team of landscapers with a focus on personalised service for quality designer landscape projects. Bizscapes can satisfy all your medium to high end landscaping needs from design to construction and beyond to maintenance. Based in the Tweed Region of New South Wales, Australia, Bizscapes serves northern New South Wales and southern Gold Coast. Blue Tongue Property Maintenance are a Property Development & Consultants supplier providing the full range of Property Development & Consultants products and services including land, properties for sale and relocation over an extended service area. We can be contacted during business hours or after hours by prior arrangement. At Eco Garden Shop PL we are committed to maintaining a balance between the economic and social requirements of people with the needs of nature. After 25 years experience our business has grown and now offers one of the most diverse and creative set of horticultural and built environmental services in Australia. Artificial rocks with real sandstone exterior. Where real rocks are too hard or cost too much, and cranes are not possible, or if you require rock shapes in "specific" custom sizes", we are the ones you should call. We transform pools, gardens, walls and fences. Our real stone exteriors are algecide treated, crack and fade proof, and will last for decades. We specialize in - Boulders Planter rocks Pool Coping Waterfalls Wall cladding Stone arbours Pool rejuvenation Rock hot pools (portable) .. and so much more. Our expert team closely with our clients to get them the results they want, for the budget they have. Based in South East Queensland and headed by principal and founder, Prue Abrecht, RUBI Landscape Design is dedicated to providing state of the art landscape designs to the local, national and international, residential and commercial markets. Gold Coast Reno It is a highly regarded and experienced Home Improvement, Property Maintenance and House Renovation business. Our Handyman and Renovation Services puts real customer service back into a field, turning up when agreed and always leaving your home or job site clean. 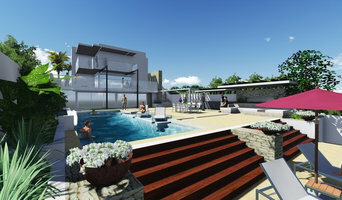 Houzz is a great place to start your search for the right Gold Coast, Queensland landscape architect or designer. You can either browse outdoor photos and find professionals linked to them, or you can browse our professional directory, see their latest projects, read reviews, and narrow down your search based on your style preferences. Once you’re down to a few, reach out and get some quotations to make your final choice.